This "User Agreement" is a proposal of individual entrepreneur Suvorov A. G. (referred below as "Administration"), concludes a contract of the terms of the Agreement. 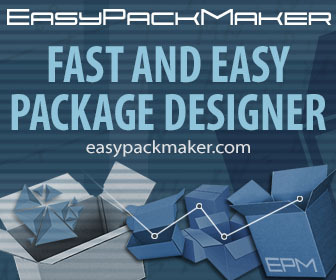 The terms and conditions apply to all business relations between the Administration and the end User to use the online service (referred below as "Service") EasyPackMaker, located at https://easypackmaker.com. User – a person, who has joined this Agreement in his own interest or acts on behalf of and in the interests of the legal entity being represented by him. 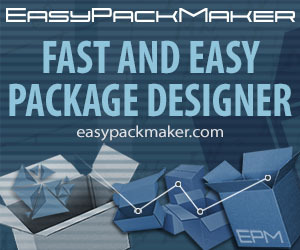 Site – Internet site hosted in the easypackmaker.com domain and its subdomains. Service – a set of services and a license granted to User through Platform. Agreement – present agreement with all additions and changes. 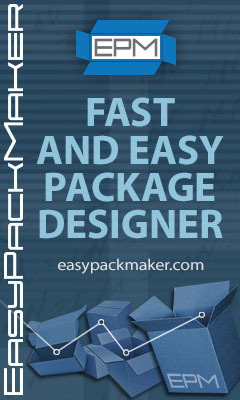 Product – a package design, calculated by Platform and provided to User as a file in PDF drawing. 1.2. Use of the Service by User in any way and in any form within its declared functionality, creates an agreement on the terms of this Agreement. You have read and understood the terms of this Agreement before using the Service. You accept all the terms of this Agreement in full without any restrictions, or terminate the use of the Service. If you do not agree with the terms of Agreement, or you are for any reason not able to enter a contract, you should immediately stop using the Service. This Agreement (in whole, or any of its parts) can be changed by Administration without a notification. New version of Agreement comes into force at the moment of its posting on Administration site, or by introducing it to User's attention by another method of communication, unless otherwise specified by the new version of Agreement. 2.1. The full functionality of the Service is enabled once User passes the registration and authorization on the Site in accordance with the procedure established by Administration. 2.2. Technical, organizational and commercial conditions of Service use, including its functionality, are brought to User’s attention by posting on the Site or by notifying Users. 2.3. The login and password that User has chosen are interpreted as a simple electronic signature and are necessary and sufficient information for accessing Site. User does not have the right to give away their login and password to a third party (or another person), is fully responsible for their safety, independently choosing the way of their storage. 3.1. The purpose of this Agreement is to conclude an agreement between Administration and User by using the Service for calculating the drawings of the packaging structures from cardboard (Product) offered by the Platform. 3.2. Access to the Service is via the Internet using the Platform hosted on the Administration server. 3.3. To use the Service, you are required to have the Internet and have a recent version of Internet browser. The Internet access is not subject of this Agreement. 3.4. Product prices are set in accordance with the current price list. User is informed of the price changes. When prices change, monthly subscriptions continue to operate until their end without additional payments. 3.5. The price increase gives User right to terminate the Agreement after the end of subscription. 3.6. 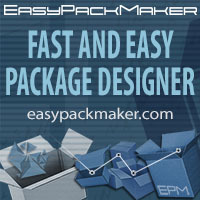 User is receiving the package drawing (Product) by downloading it from the web page. 4.1. This Agreement is concluded between Administration and User and is not transferable to a third party. This does not apply to the results of the Service (received Product, catalogs, samples, etc.). The agreement does not apply to the trial period. 4.2. Product is obtained through the Service is User's property and does not have any time limits. 4.3. User can have the unlimited access to Service. Availability of online services may have limitations for technical reasons, for example, due to the need for software updates. 4.4. At the conclusion of Agreement User receives a username and password for using the Service. 4.5. User is responsible for the misuse of the Service. In case of violations, Administration has the right to block access to the Service. If User is aware of the improper use of the Service, he, or she, must immediately notify Administration. 5.1. It is not allowed to use anonymous and temporary postal services for account registration. An account that is registered using this kind of service will be blocked. 5.2. Repeat registrations are prohibited. Use only one account for one User. Should Administration discover any such case, it has the right to block the account. 5.3. Are not allowed browsers using onion routing technology (Tor and others) for account registration. 6.1. The service guarantees confidential processing of User's data. For the implementation of Service, the data associated with the records is stored in machine-readable form, and can not be shared with a third party. This does not apply to reliable companies that help the Service work, provided that they agree to keep the information confidential. This obligation is maintained after the termination of the Agreement. 6.2. The service processes collected User data for the normal operation of Platform, for communication with User and for providing information about new offers. 6.3. User agrees to receive emails. User can at any time withdraw his/hers consent to use his email addresses for promotional purposes. The collected data is transmitted to third parties only if it is necessary for the operation of the Service. 6.4. All calculated Products and transactions are collected by the Service and saved into databases. Servers and computers which host the confidential information are recorded are in a secure environment. 6.5. Administration is ready to share information in order to prevent crimes or help in their investigation if it is a question of suspicion of fraud, actions physically threatening the safety of people, violations of the rules of use or in cases where it is provided by law. 7.1. A simple electronic signature is a signature that, through the use of codes, passwords or other means, confirms the fact of the formation of an electronic signature by a certain person. As the public part of the signature is the login to the account, as confidential – the password. 7.2. All messages sent using the Service feedback form are signed if User logged in to their account. 7.3. User is responsible for the non-disclosure of registration data and must prevent their unauthorized use. User does not have the right to transfer their login and password to third parties, bears full responsibility for their safety, independently choosing the way of their storage. 8.1. If User or his authorized representatives violate the provisions of this Agreement, Administration has the right to terminate Agreement without prior notification and to block access to the Service. Claims for damages remain unchanged. 8.2. In the event of termination of this Agreement, subject to User's compliance with the terms of Agreement, unused funds are returned to User within thirty days. If a monthly subscription is used, the amount of refund is calculated based on the number of days elapsed since the beginning of the billing period and, if necessary, by the quantity of the received Product. 8.3. Termination of this Agreement must be made in writing with the announcement of the reason for the termination. 9.1. In case of a breakdown of Platform server and if the Service is not available for a significant period of time (more than two hours) during the usual business days, User is entitled to a compensation. Compensation is calculated on the basis of a monthly subscription in the proportion of time when the Service was unavailable. Usual business days are from Monday to Friday. Compensation does not apply to the trial period. 9.2. Packaging that can be calculated by means of the Service is a design based on standard catalogs, the parameters of which depend on the sizes entered by User. Due to the high complexity of calculations Platform can not prevent all errors. In some cases, input errors (for example, too small dimensions) will not give out warnings. 9.3. Before the die-cutting stamp is produced, please check the design and the option for assembling the package taking into account the selected material. The finished drawing of the box must be cut out on the selected material (preferably on the cutting-folding plotter), and make sure that Product is correctly assembled and has the necessary dimensions. User is responsible for the accuracy of determining the size of the package and checking the results of the calculation. 9.4. Claims for damages that are not based on intentional and/or gross physical distortion of Product are not accepted under any circumstances. The Service Administration and their employees cannot be charged in the event of marriage of the finished Product (see clause 9.3 of this Agreement). Only the direct damage is compensated. Register or login on our site. Read and agree End User License Agreement. Place one of our banners on your site. Send us via the feedback form a link to the page with the banner. * Offer only for registered users. Can be used once for one link on one site.